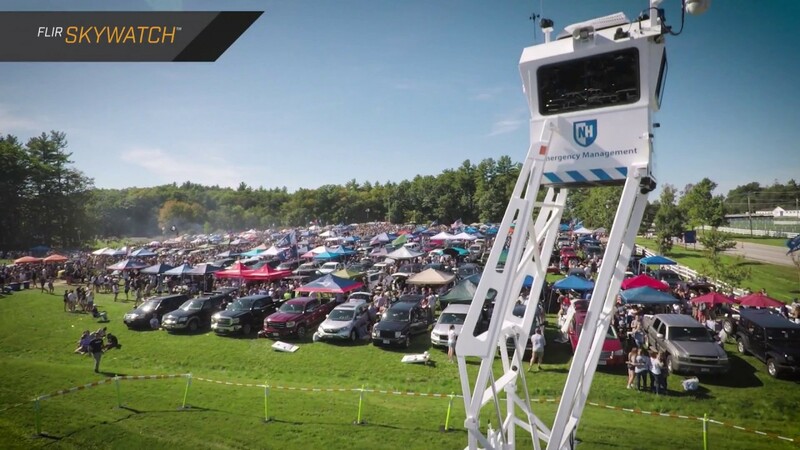 Towable practically anywhere, one officer or trained civilian can deploy SkyWatch in minutes, safely raising it in about 90 seconds. The 360° view from 27' up gives the operator the advantage of scanning areas that typically require three ground personnel. Manned or unmanned, SkyWatch sends an obvious message that areas are being observed and protected. FLIR SkyWatch is a proven mobile surveillance platform that can withstand 60 mph gusts while keeping the operator safe, comfortable, and focused inside the temperature-controlled tower. Among the many flexible options are fixed or pan-tilt IR, night vision, and visible-light cameras, ground radar, DVR, and searchlights to help you see, find, and document more efficiently.